How can I get my books from Tate Publishing? I paid for the publishing and editing. I cannot order copies to sell. I am not getting any royalties from Tate currently either. Amazon is selling copies. I have people who have ordered from them. I paid a whole lot of money with a promise of 1000 books printed. We posted an update about Tate Publishing a couple of weeks ago. We also added additional lawsuits filed against them to THIS PAGE. Several of their properties were seized, and given to Bankfirst after Tate failed to pay on several promissory notes. It’s highly unlikely their authors will get any refunds for services or books, nor royalties, and certainly no more copies of their books. I hope you have filed a complaint with the Oklahoma Attorney General. The more complaints they receive, the more charges that could be filed against Tate. And, more convictions could mean more jail time. YOUR PUBLISHER WENT BELLY-UP? 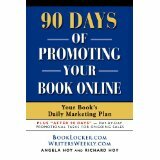 Six Ways to Get Your Book Back on the Market ASAP! I also recommend changing the title of your book so readers won’t get confused, and try to purchase the old edition. There may be used copies of the previous edition for sale on some websites.